Please make sure you have updated your Physical Inventory App to the 2.40 or above. 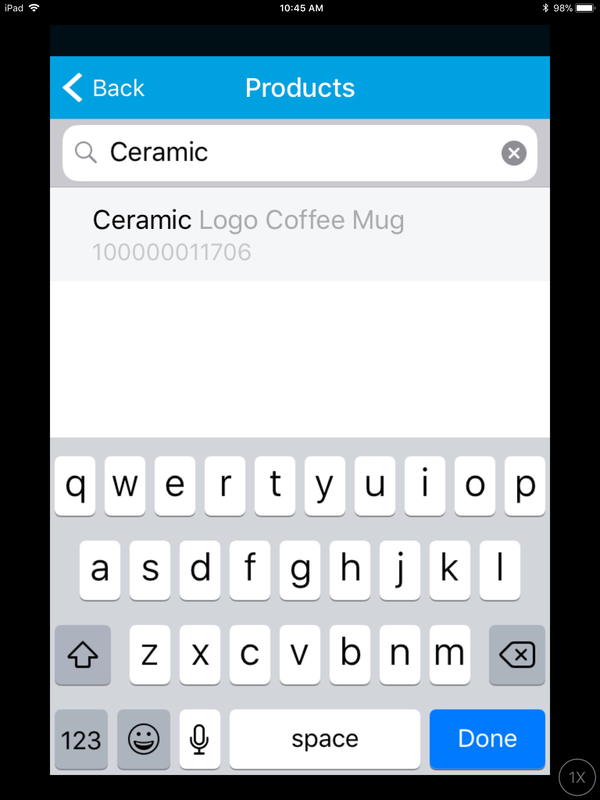 The Inventory app makes it easy to update inventory quantities, receive purchase orders, and also conduct a physical inventory count. At this time, the Inventory App is compatible with iPhones only. 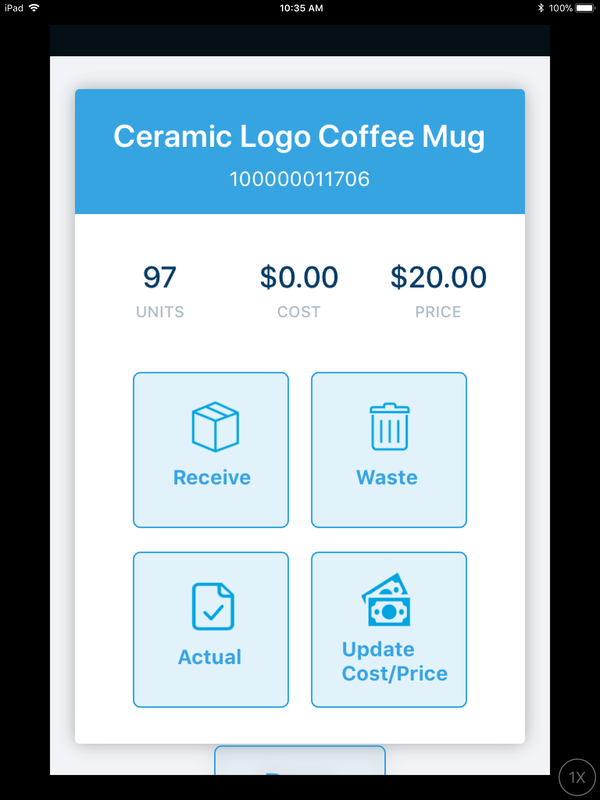 On the Inventory app, use the Products tab to receive, waste, set actual, and update the cost and price of an item. Scan or Enter the name of an item. 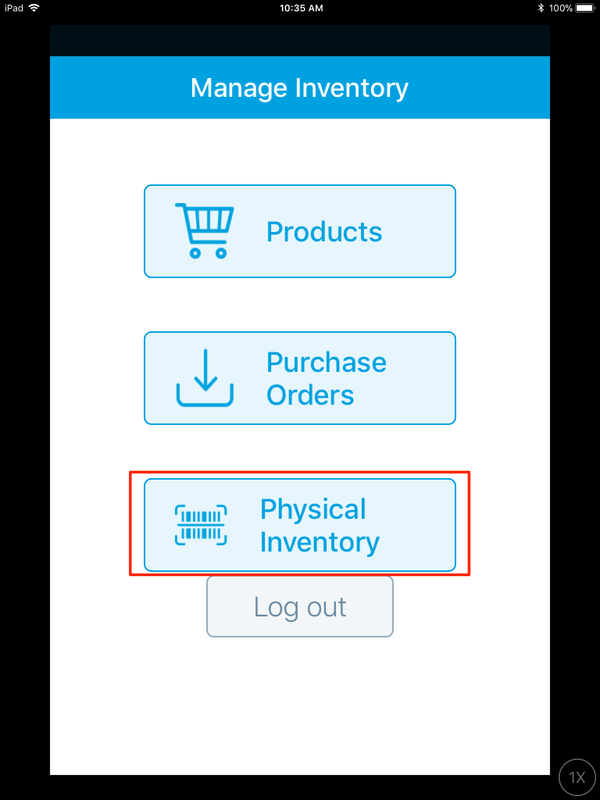 Use the icons to perform the desired inventory function. These actions will update inventory in the management console and the inventory report. Use the purchase orders tab to receive inventory from an existing PO. Scan or Enter the name or number of the PO. After selecting the purchase order, click an item to receive the quantity. You may also choose to mark the PO as fully received. Then click Save. Perform a Physical Inventory count to verify the actual inventory quantities in stock. For more information on conducting a Physical Inventory session, click here. If you have Default Inventory enabled on all products, you will receive a Connection Failed error message when connecting to your Physical Inventory session. Simply remove Default Inventory for most of your items and try again.